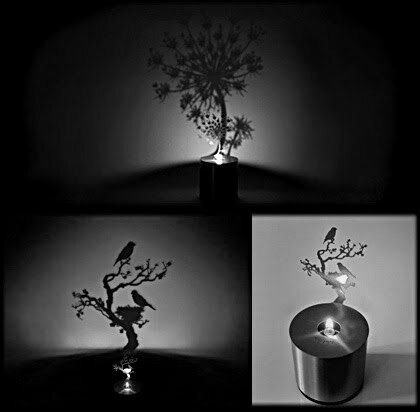 Lumen is a series of acid-etched, stainless steel, oil lamp shadow projectors. 2008. Lumen throws a soft shadow on the wall when lit. As the flame flickers the shadow moves about organically. Reveal is a new type of ambient interior lighting. 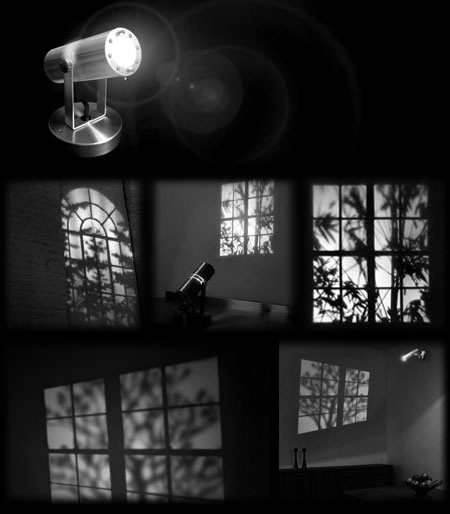 This product creates the impression of sunlight streaming through a window and onto an interior wall. A light breeze appears to move through trees in the cast image. REVEAL is designed for use in most interior lighting environments that lack direct sunlight.